Since moving to Montana, Gil has taken up a bit of fishing. With 3 lakes within driving – and even walking distance, it’s hard to resist the call of the fishes on a nice day. While I’ve cast a rod a few times, I am far from knowledgeable when it comes to fishing. So when I wanted to buy gift for Gil, I was at a loss for good fishing gift ideas. Fortunately, I discovered the best fishing gift for fishermen and fisherwomen with Lucky Tackle Box. Lucky Tackle Box is a monthly fishing subscription box that sends subscribers new lures and baits from the best fishing tackle brands. Offering three sizes of boxes – Regular, XL, and Tournament. It’s an easy way to discover new fishing tackle each month. Prices range from $15.99 per month for Regular boxes to $46 per month for Tournament boxes. When gifting a Lucky Tackle Box subscription, you can choose the box size, the number of months you’d like to gift, as well as the fish species. Lakes around here have lots of different types of fish including Walleye, Trout, and Perch. Lucky Tackle Box offers fishing boxes for several species of fish including Bass, Crappie/Panfish/Trout, Catfish, InShore Salt, and Walleye. They also have Multispecies fishing boxes, as well as Flyfishing boxes. 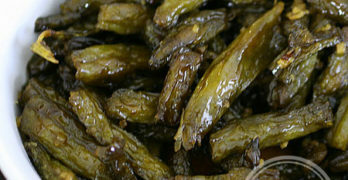 Every box features lures and baits specific for that type of fish. After some consideration, I opted to get Gil the Walleye Lucky Tackle Box. When the Lucky Tackle Box arrived, Gil could hardly wait to see what was inside. He really was in need of some lures that could catch Walleye. He was amazed that one fishing subscription box was able to deliver everything he needed to go right out on the lake and start fishing for Walleye. He’s still building out his tackle box and the XL Lucky Tackle Box for Walleye was an ideal way to quickly stock up on fishing tackle for the local lakes and rivers. 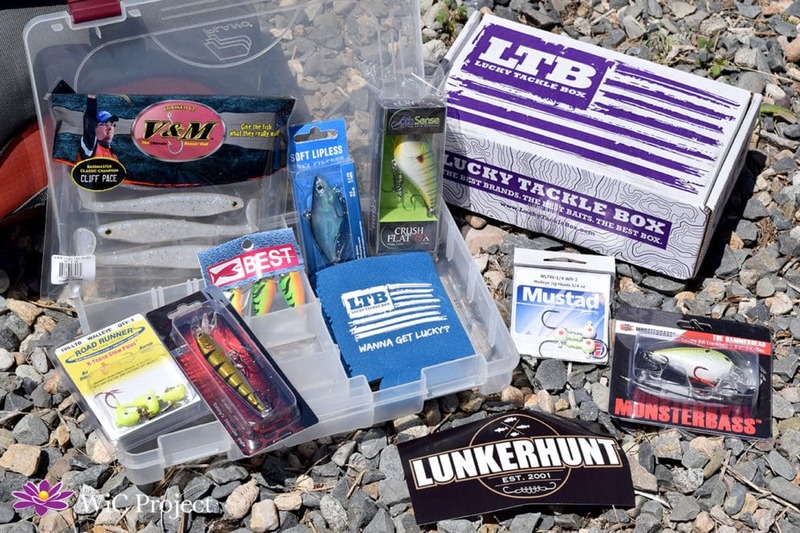 Depending on the box size chosen, monthly Lucky Tackle Boxes contain 5-13+ items from the best fishing brands. 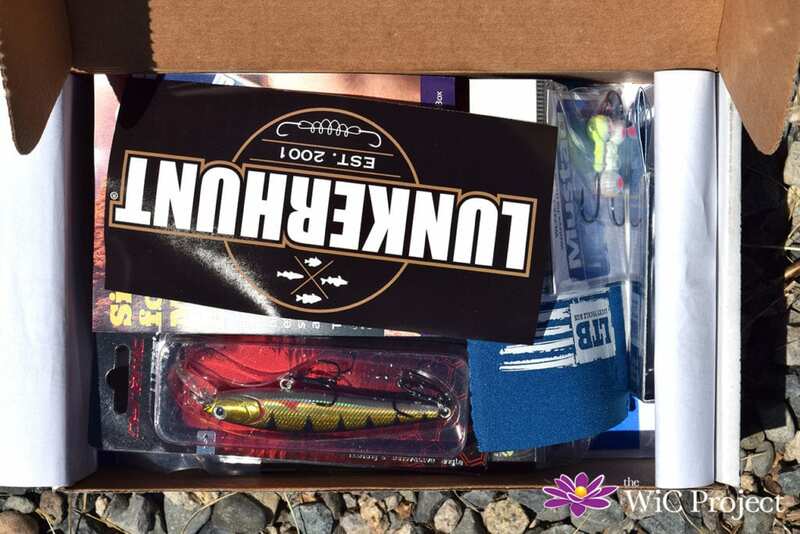 Our Walleye XL Lucky Tackle Box contained 8 pieces of tackle, a Lucky Tackle Box koozie, and a Lunkerhunt sticker. Whether you looking for a monthly fishing box for yourself or shopping for the perfect gift for fishermen, Lucky Tackle Box is the best fishing gift that keeps giving month after month. 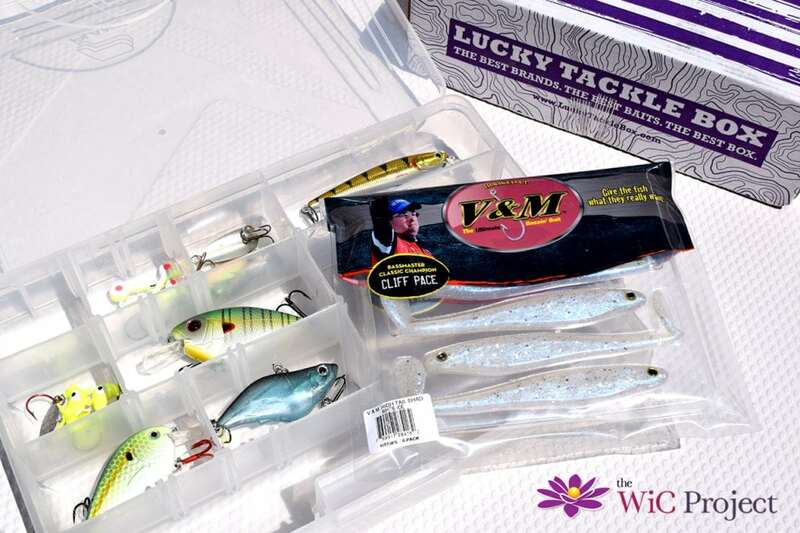 Gift Lucky Tackle Box for Father’s Day, Christmas, anniversaries, or any occasion. 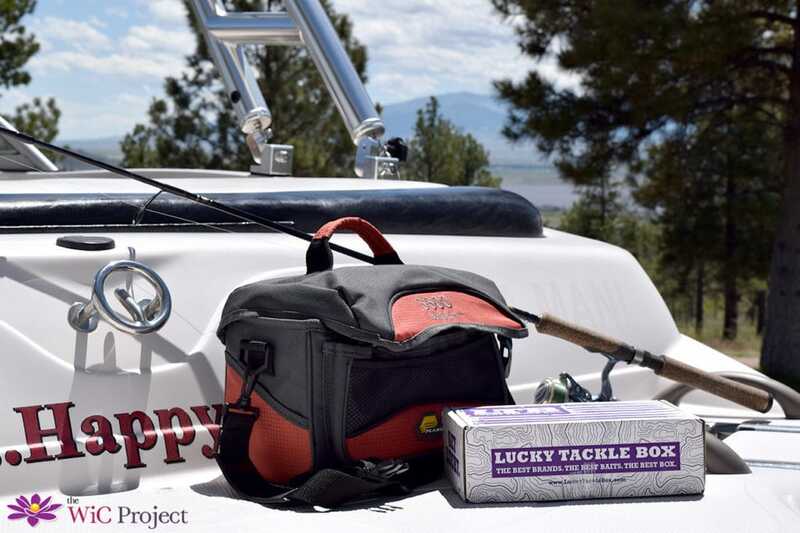 Do you know someone who would love to get Lucky Tackle Box? Just use this link to subscribe today and you’ll save $5 off your first box!